Opened in 1972 by Valeriano and Luisa Petrucci, Camping Piazzatorre has become a reference point over the years not only for tourists who visit us again year after year but also for baby skiers in our school camp. Currently run by Massimiliano Petrucci and his family, it is a great place to spend the summer holidays quietly and peacefully. It is also a strategic starting point for ski lovers during the winter season. During wintertime, next to the campsite, the school camp with programmed snow offers the opportunity to learn how to ski under the guidance of our qualified Ski Instructors (Visit SnowLand Piazzatorre). The campsite offers several facilities: a very characteristic wooden Bar, a Playground, a Bike Park, a Beach Volleyball Area, a Relax Area, free hot showers and restrooms. 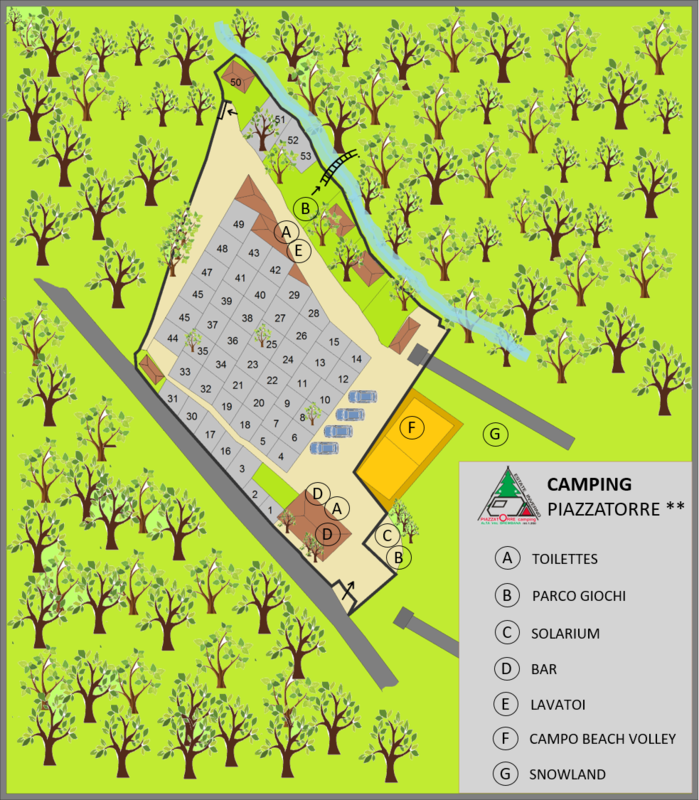 The campsite is located about 1 km far from the center of Piazzatorre (connected during high season periods by a public shuttle service) where you can find all the basic services such as supermarket, pharmacy, outpatient clinic, post office, restaurants, tennis courts, soccer fields, outdoor and indoor basketball and volleyball playgrounds. Only 250 meters far from the campsite you can reach the ice rink and ski slopes.